In a couple of weeks, I will be travelling to a remote part of Borneo, the eastern part of Sabah and this trip includes both Lahad Datu and Semporna. Typically, I will not buy travel insurance when travelling to Malaysia, to places like Malacca, Kuala Lumpur or Penang. However, this trip is more adventurous and risky than the usual shop-and-dine trips, it would be unwise not get any travel insurance protection. However, after hours of researching and comparing policy wordings and schedule of benefits, I concluded that it is impossible to compare apples-to-apples when it comes to travel insurance plans. 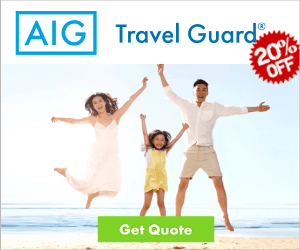 Travel insurance companies are very creative in differentiating their products by adding little extra here and there, yet tightening the sub-limits to justify the price difference. This reaffirms my belief: “when you pay less, you get less”. If a catastrophe happens during a trip, a cheapest travel insurance plan may just be the most expensive one when you actually need it. Like many, I wish I could have the best protection, however, I do not have the luxury to buy an insurance plan with the highest and widest coverages. So, what are my alternatives? I need to strike a balance between benefits and cost – decide on the most important coverage I need for this trip e.g. emergency evacuation, medical expense, personal accident and etc., and look for the cheapest insurance plan that offers the best value. Though my research may not be totally comprehensive as I only reviewed four providers, it still provides a pretty good overview. Eventually, I selected the three insurance companies that offer what I needed most in my desired price range. Here’s a table comparing AIG vs AXA vs FWD benefits that are important to me. When we travel, each of us has different needs. Yet, it is common that travel insurance plans extend benefits and coverages which we may not need. For example, AXA SmartTraveller offers pregnancy-related expenses of $4,000 which I definitely have no need for. FWD offers missed connections allowance of $100 which is a must-have for a trip with multiple connections. However, for this coming trip this coverage is not required as I’ll be taking a 3-hour direct flight from Singapore to Kota Kinabalu. Since it is the cheapest among the 3 plans compared, I’ll still not write it off. 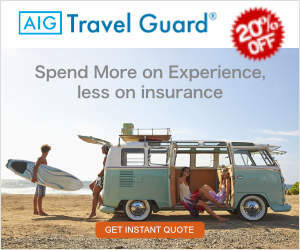 Actually, it’s the medical and accident coverage that is most important to me and I am very concerned about the loss of items and theft of money. So I’m willing to pay more for coverages that I definitely need. So by deciding on what concerns me most and eliminating what I do not need, I hope to make the right decision and save some money for my next trip.